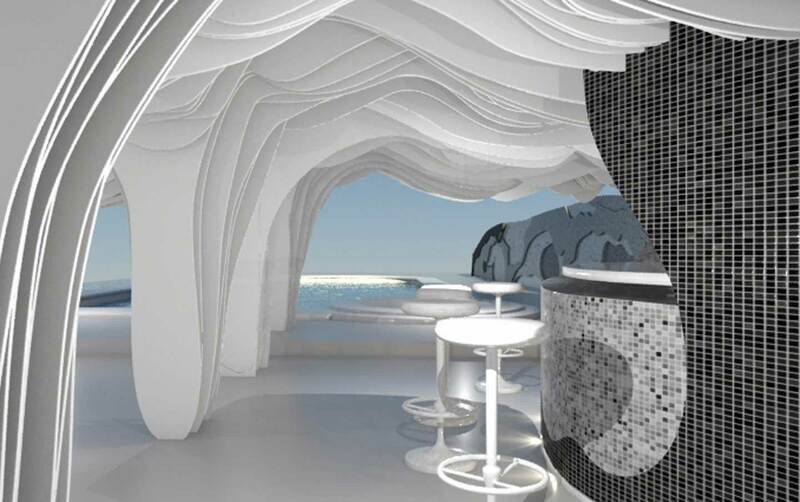 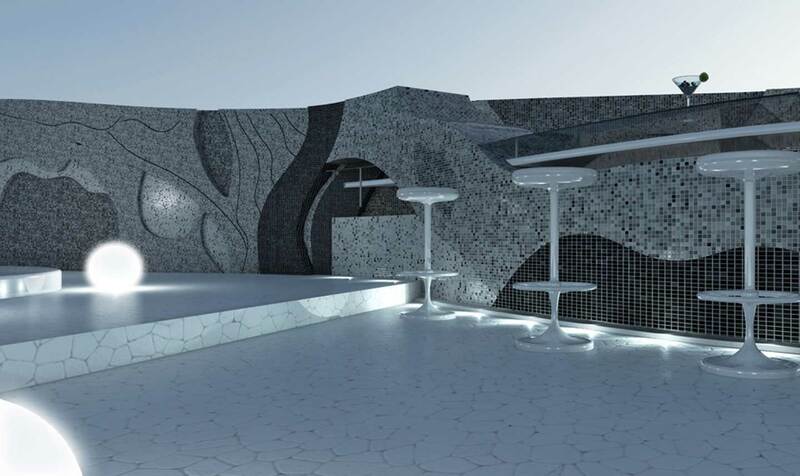 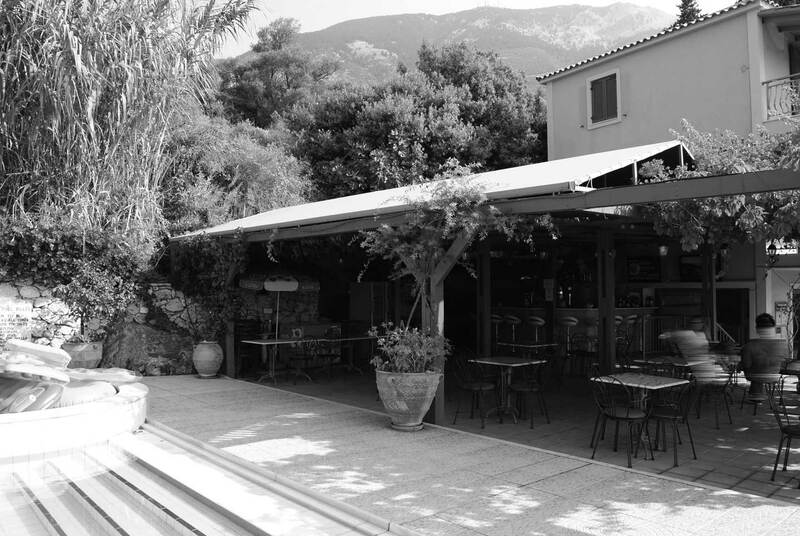 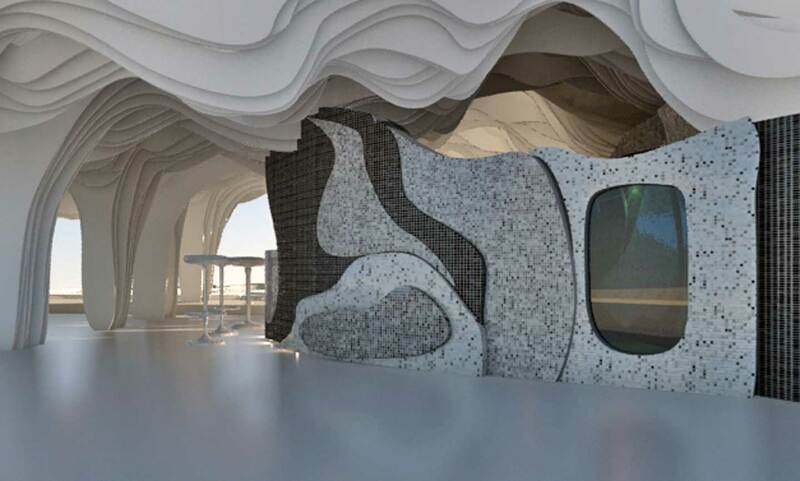 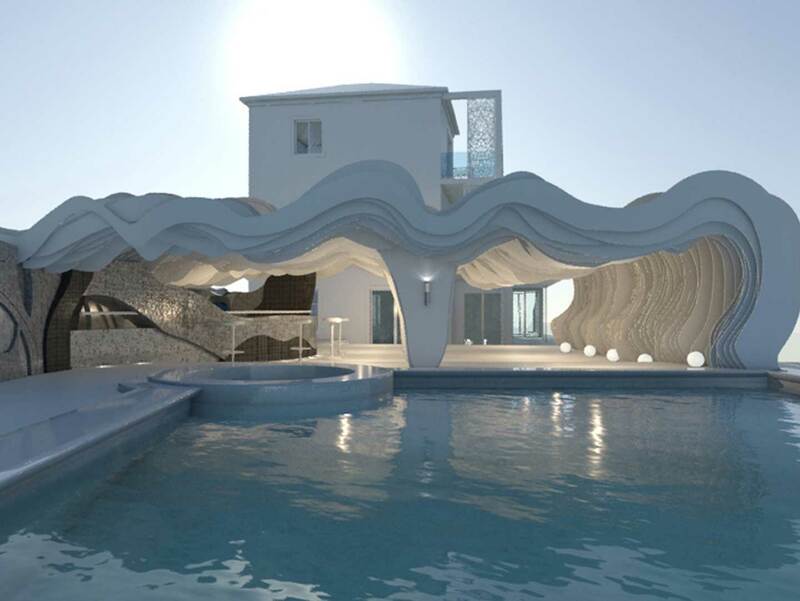 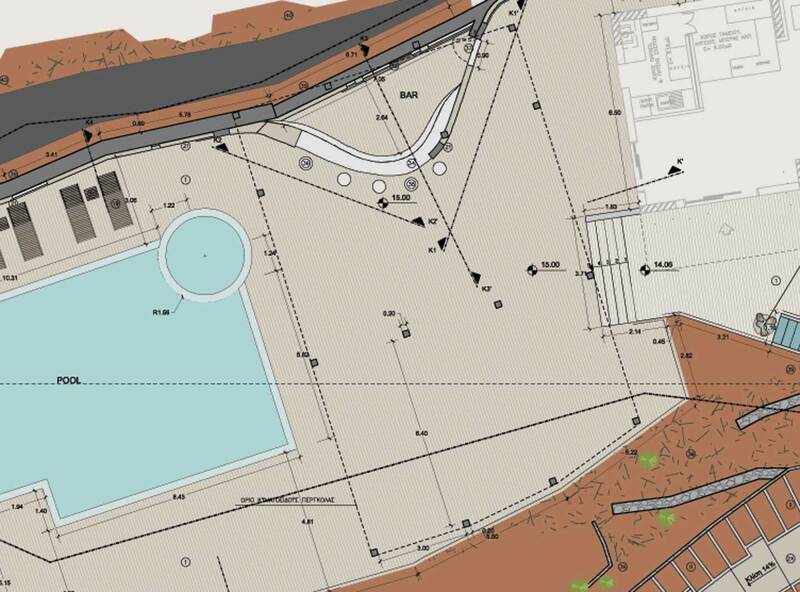 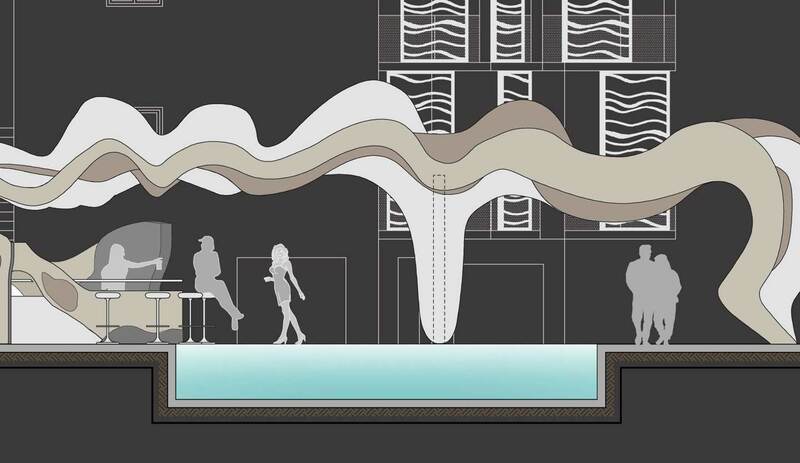 This "cave bar", coupled with the "cave wall" and the wavy pergolas, are elements of the same pool space, and part of the proposal for the renovation of the "boutique - hotel". 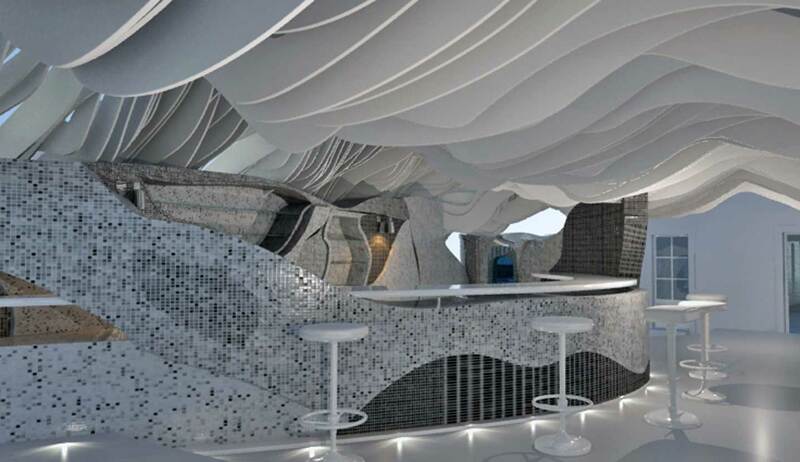 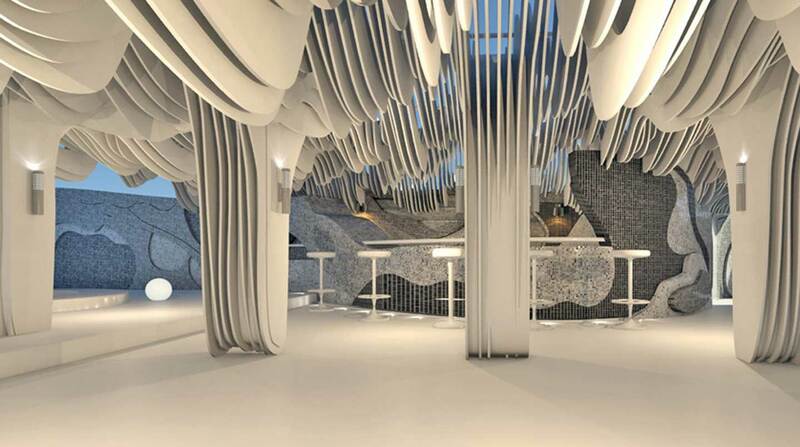 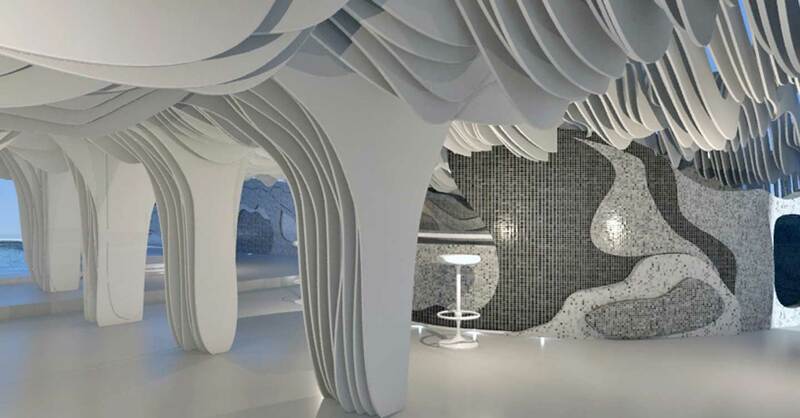 Through plasticity of the designed forms the "cave wall" is trans formed into a bar, a cave - like three - dimensional space. 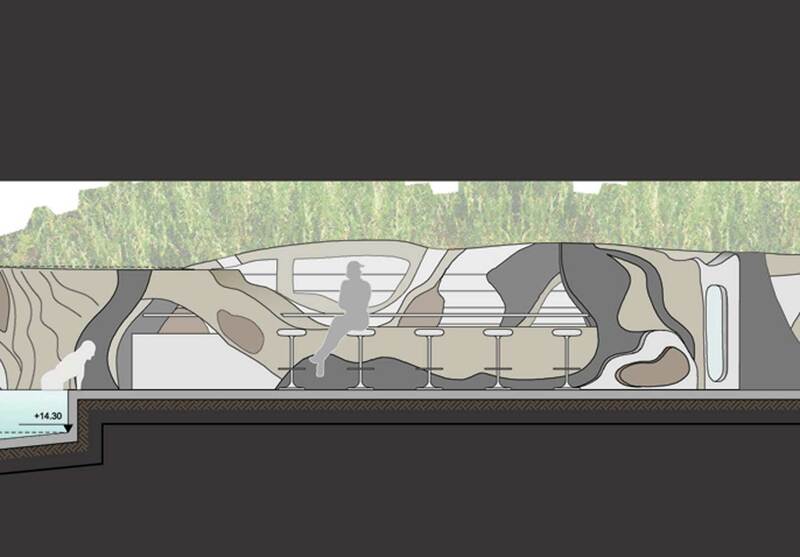 The bar becomes part of the hotel's exterior palette, an integrated element of the landscape.